Most of us think that acting is all about red carpets, champagne, and expensive clothes. But in fact, not all actors achieve fame and awards to live like this. There are still lots of movies, TV shows, and theaters which need actors. And also, there are lots of people who dream about playing a role. It’s just a profession, just like any other. If you are thinking of creating a resume, we are going to give you a hand. You need to provide references from a theatre or other previous place of work. If you can’t get this info, it’s better not to mention experience at all. Also, make sure to use simple fonts. It’s better to create a one-page resume and send it to an employer in PDF format. Which resume you like the most and why? 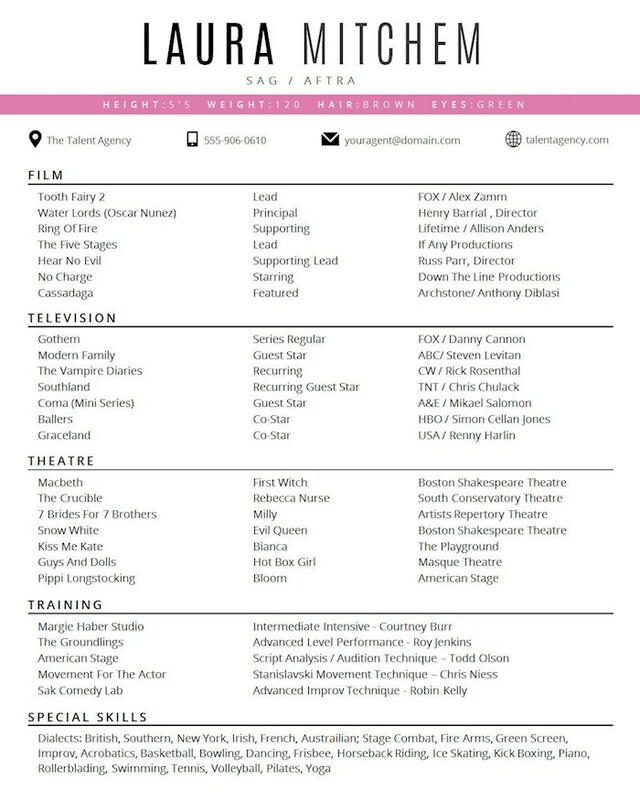 Here is a simple resume for actors with a description of working experience in theater, films, television, and special skills. 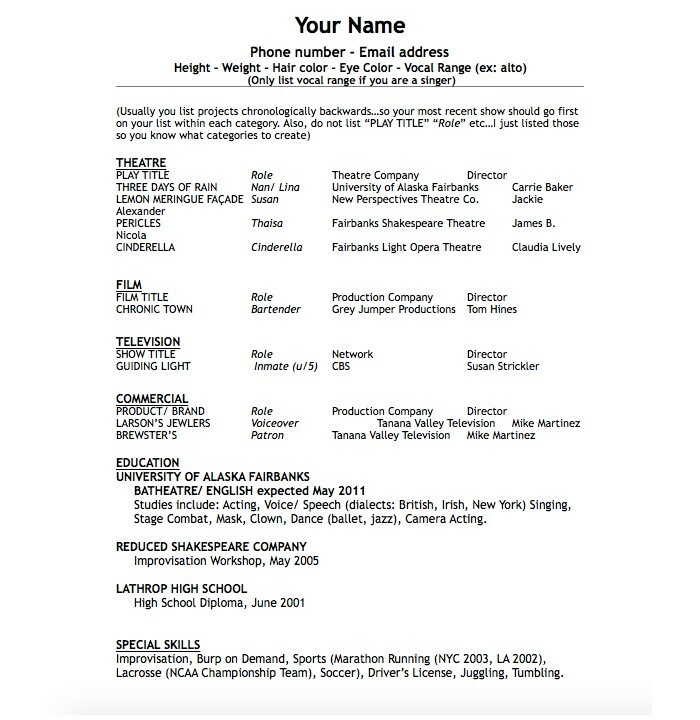 There are two resume samples, for actors with or without an agent. 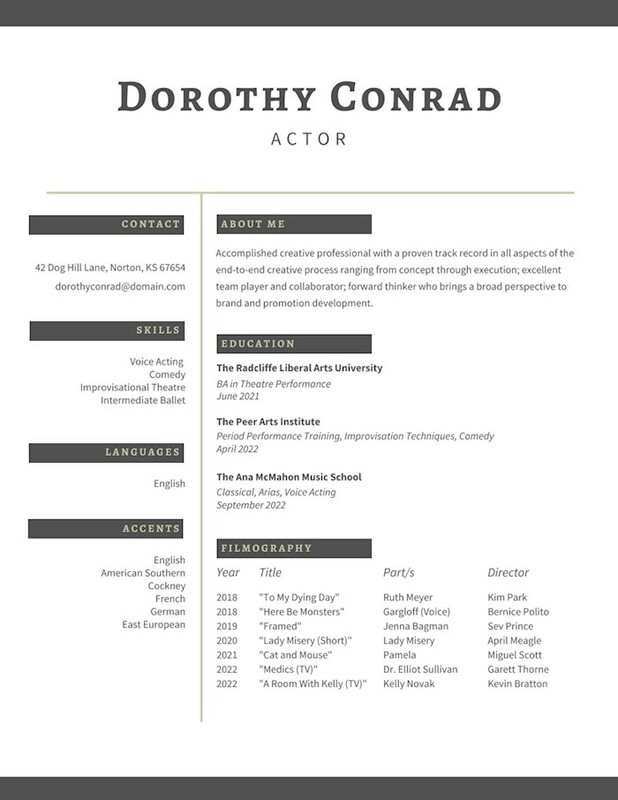 Check out this creamy resume created for actors. It features the following parts: profile, contact, training, statistics, stage, film, skills, and languages. 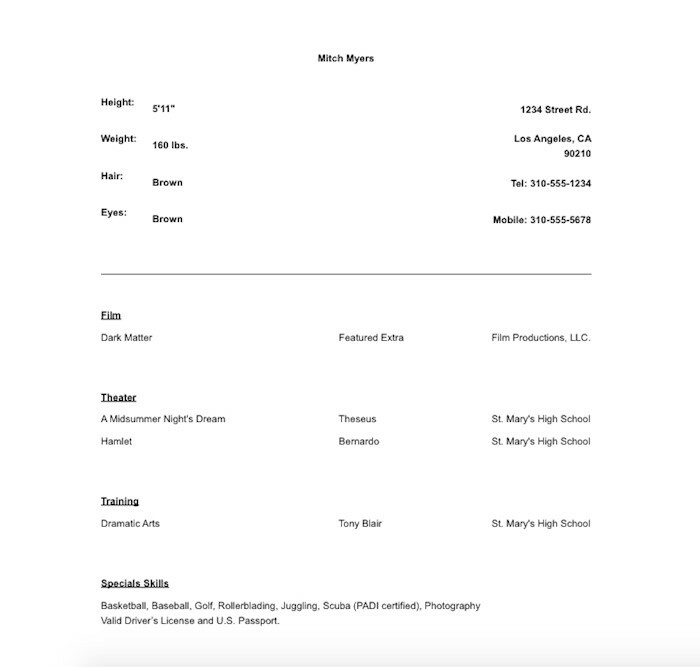 This is a basic sample resume for child actor or actress. It has experience, print, plays, and training along with kid’s appearance. 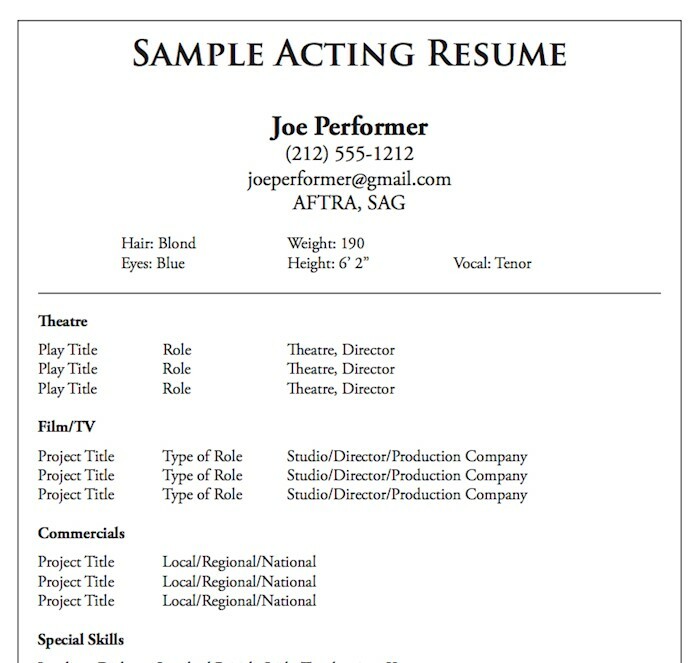 Here is free four pages resume sample for actors in PDF format. You can use it to show off your skills and experience. You can edit it using any PDF editor. 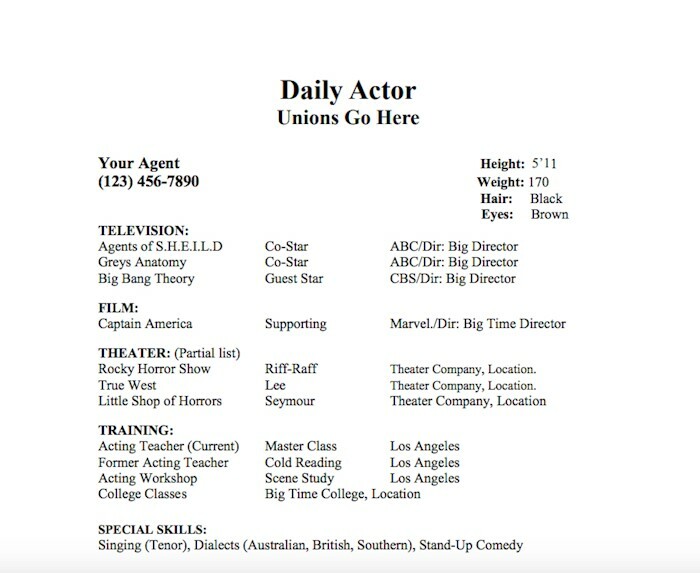 This acting resume has a specific field you need to fill in, such as theatre, film, education, training, and unique skills. It can be used by both a professional actor and a beginner. 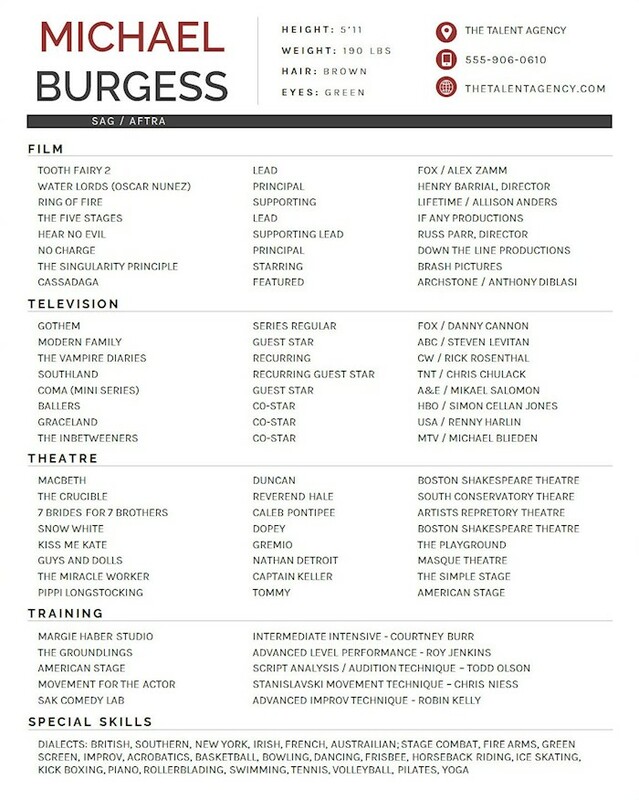 If you are a complete newbie to acting, or you don’t have experience, this resume was designed for you. Download it in Word format and edit as you like. 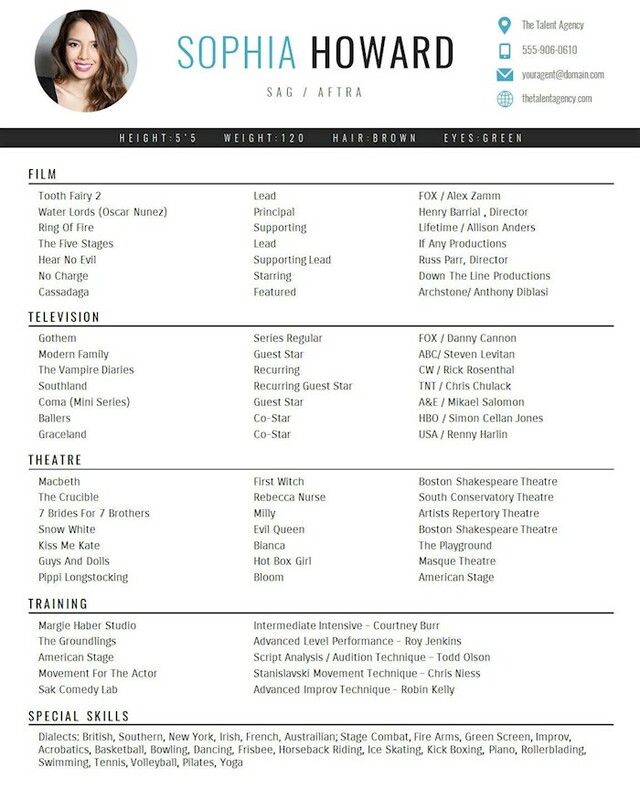 Here is a sample of acting CV with name, objective, strengths, experience, education, and personal info. To use this text, copy and paste into a suitable text editor. You can use it as inspiration for writing your first acting resume. Include your most recent shows and films in the very beginning. 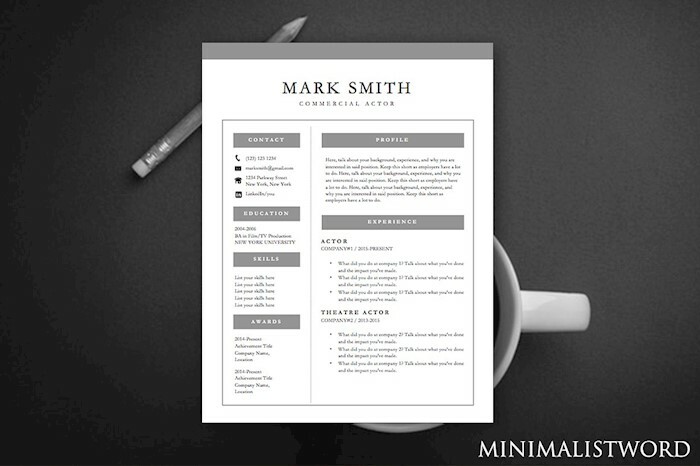 If you are looking for a clean, dynamic resume template, look no further. This is a simple resume with all necessary fields and gray headings. 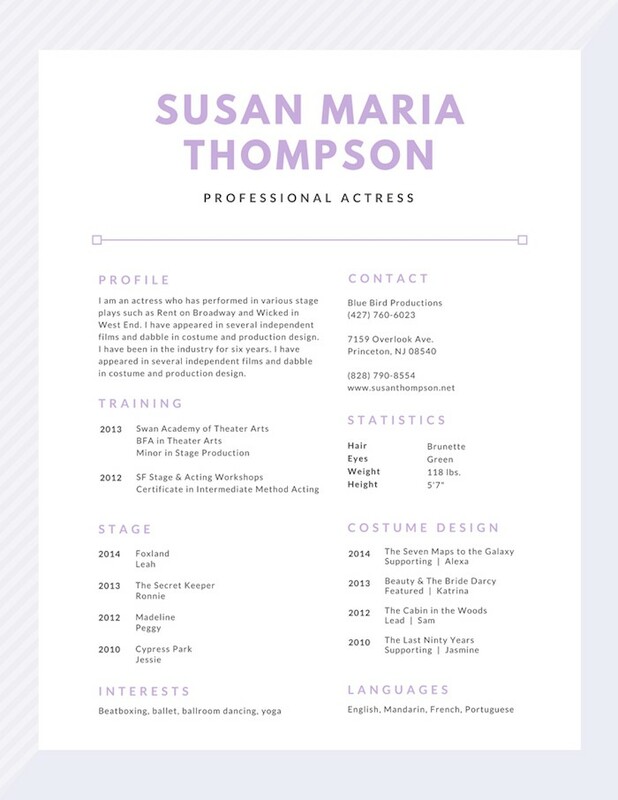 Purple resume for a professional actress with different fields to fill in. 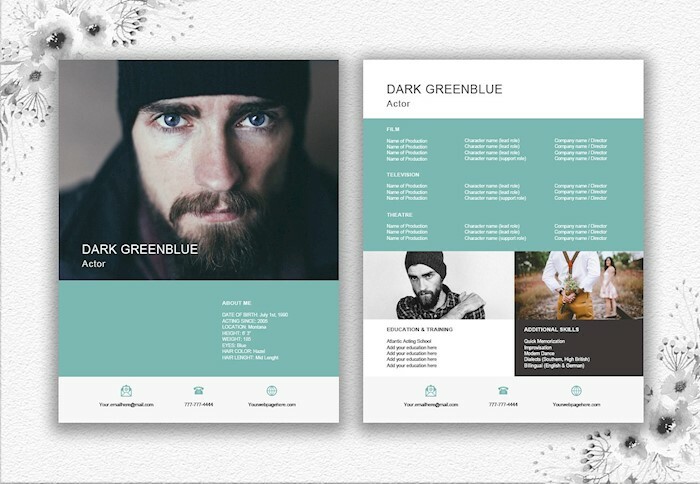 You can arrange it to fit your preferences using Canva editor. It has modern, lovely layout suitable for girls. 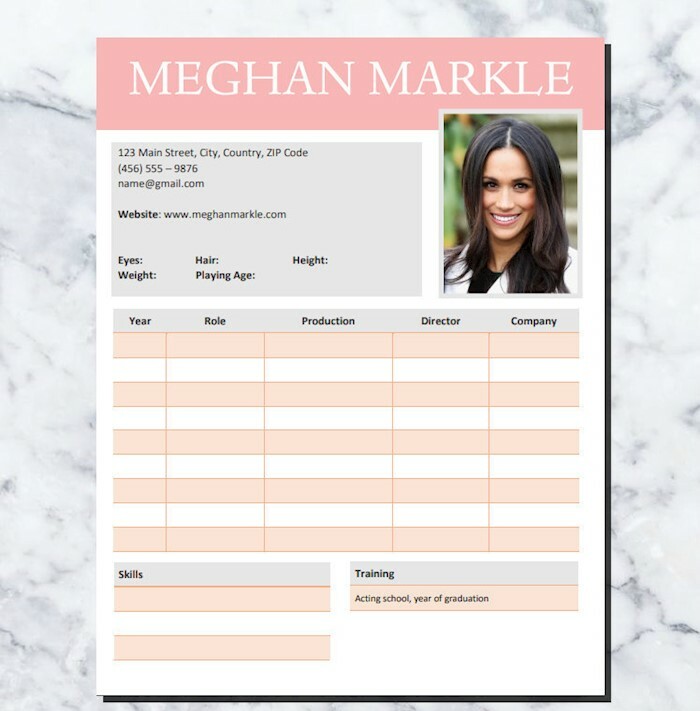 Here is a professional resume template with a massive photo on a front page. It goes in Word format so that you can edit and print it with ease. 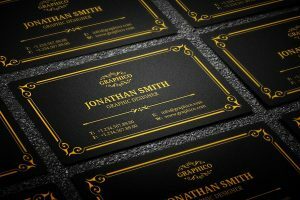 You can also use a covering letter templated designed in the same style. 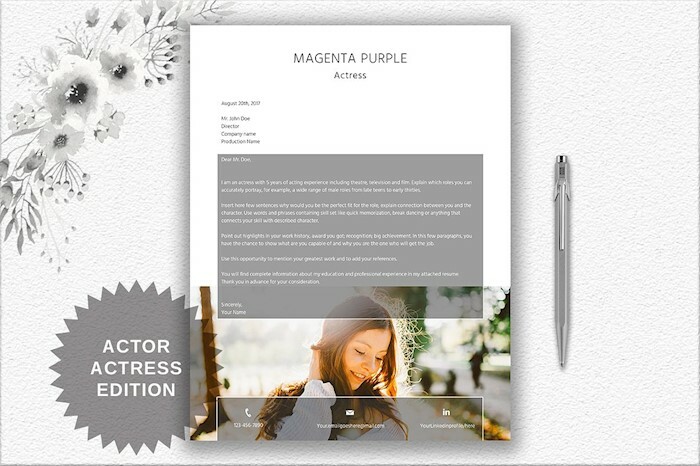 This is one more premium resume template in Word for an actress. It focuses on big images which create a significant impact. It would be a perfect idea to insert there an image from one of your films or shows. 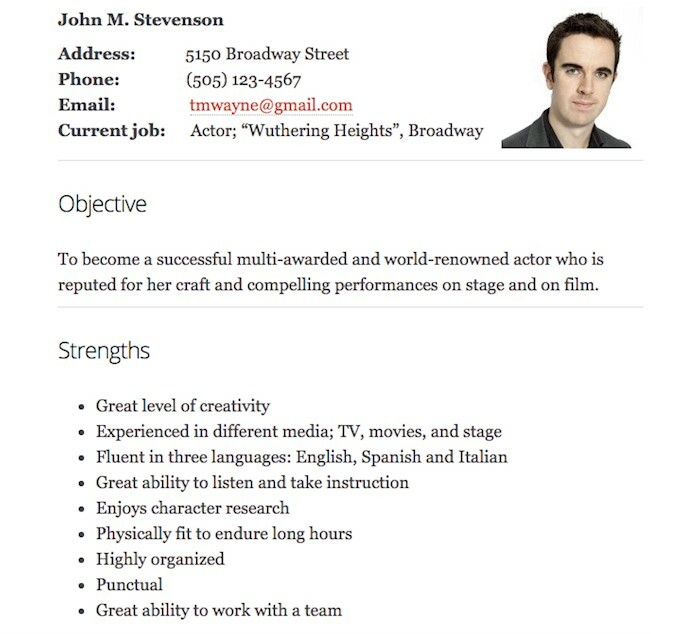 An actor resume template is compatible with different versions of Word. It has a clean monochrome design if you don’t feel like using bright colors. 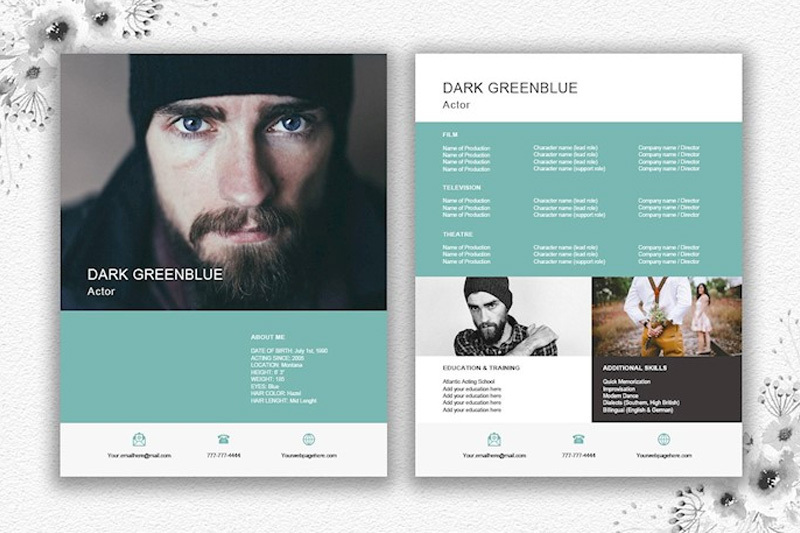 This resume template was created for art directors with professionalism in mind. It has a clean layout with a watercolor splash in the header. 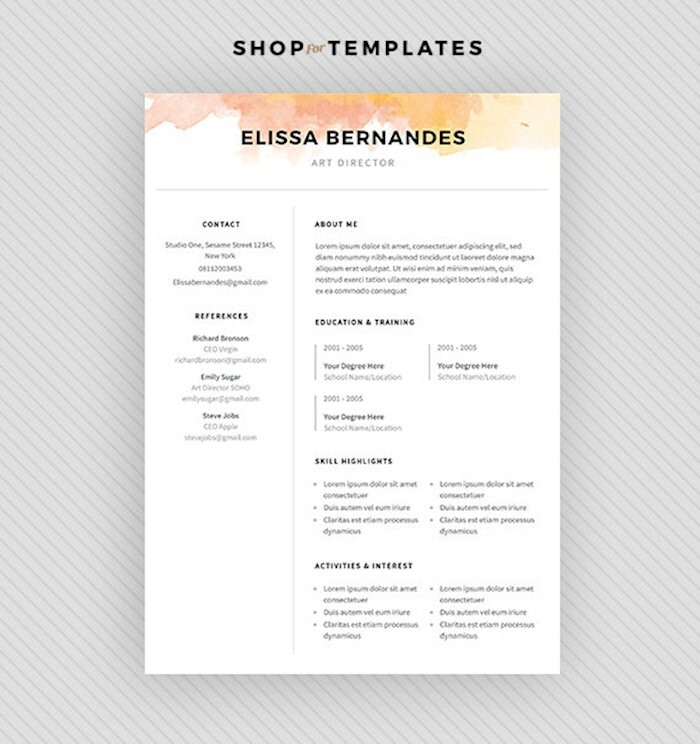 Look at this clean yet active resume template with eye-catching name and picture in the left corner. This is an instant download file which you will get immediately after purchase. 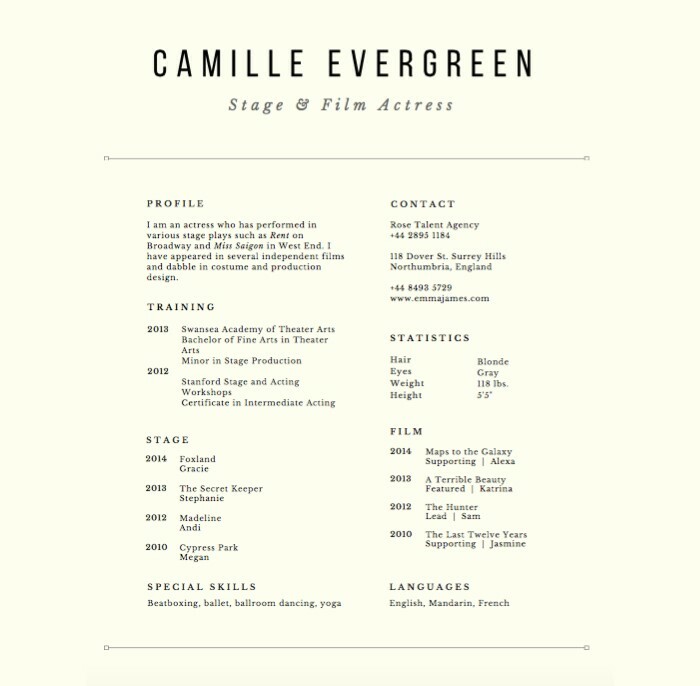 We love this cheerful, creative resume for actors in orange color. It has a clean, readable font and separated fields for all necessary information. 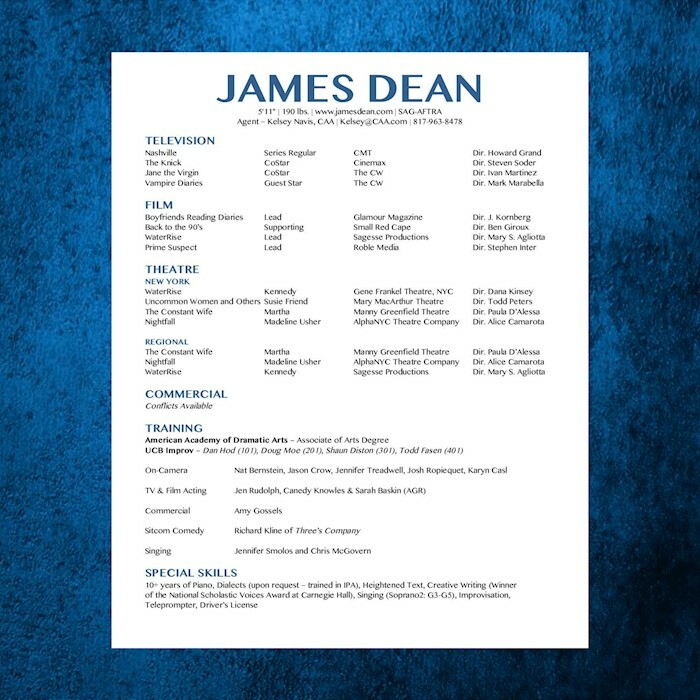 This incredible resume was created in vivid colors with a nice sheet where you need to write your role, production, skills, and more. 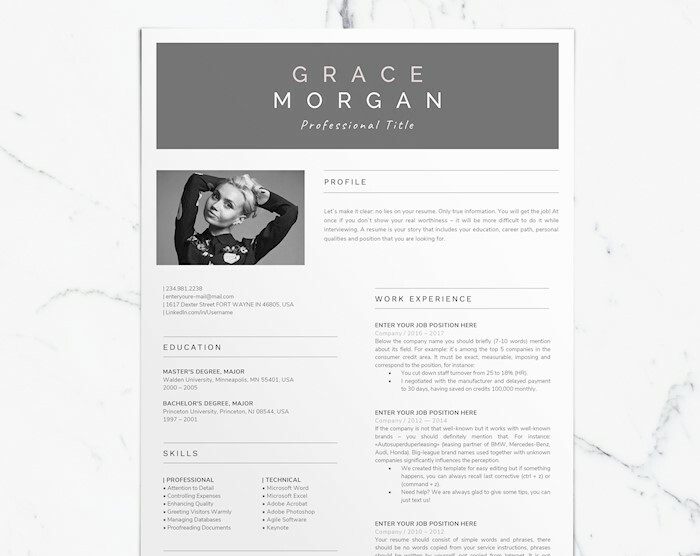 This is a print-ready resume template with editable options. A proper resume will help you to land a job of your dream! 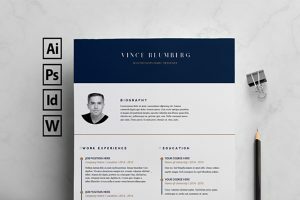 Try your luck with this gorgeous modern resume template in Microsoft Word format. After purchase, you’ll get an MS Word file with a resume which you can edit right away and print, or send via email to your potential employer. It has a clean design with a pink stripe on top. 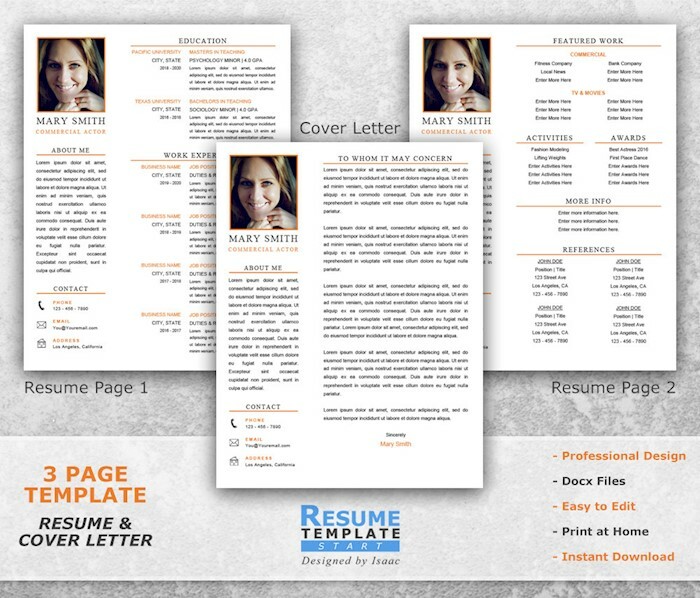 One more clean resume template which comes in PDS file. You can text a creator of this template so that he can customize it for you. 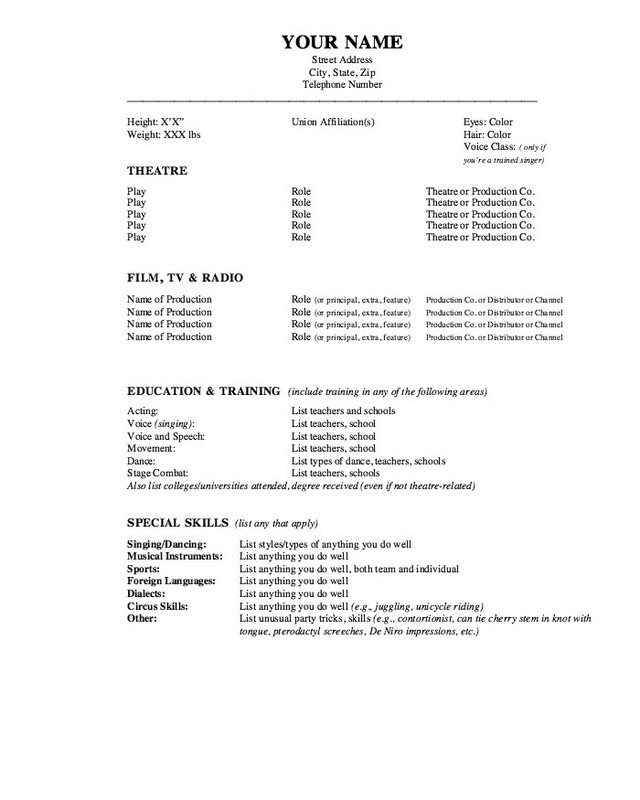 Here is a standard monochrome resume which can be used for acting, but also for any other industry. It has a gray header and black and white picture.